Do you get a lot of junks, such as catalogs, coupon books, and pre-approved credit card offers, in the mail? 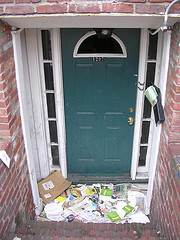 According to 41pounds.org, the average adult in this country receives 41 pounds of unwanted junk mail each year. That’s a lot of junk mail! In the May issue of Kiplinger’s Personal Finance, the magazine listed several ways to stop the junk mail for good, including both free and paid service. DMAChoice.org is Direct Marketing Association’s consumer information site. At DMAChoice, you can register to get your name removed from mailing lists, email lists, and telemarketing lists. 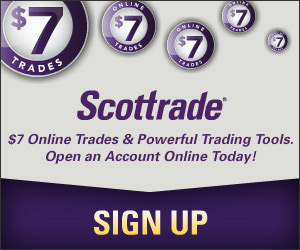 To register, you can choose either to finish the process online or by mail, but that will cost you $1. The online registration process is quite simple, taking only a couple of minutes, and it also allows you to create an account so you can change your preference later. For the Catalog Option, you will need to provide the name of the catalog that you don’t wish to receive. And for both the Mail Offers and All Mailing option, a valid credit card is needed in order to complete the process online, though it’s only for verification purpose and you won’t be charge. There’s a By Mail option, but, again, there’s a $1 fee. And what’s better of CataLogChoice is it allows users to expand their database. If you have a catalog that isn’t in their database, you can suggest it to them so people later on can find it. The service at CatalogChoice is also free. There’s no additional cost to opt-out, but you do need to provide personal information such as social security number and date of birth, and name and address of course, in order to complete the process. Another paid service is from 41Pounds.org. 41Pounds charges $41 to stop junk mail from reaching your mailbox, but, according to the site, 1/3 of the fee it collected will be donated to environmental or community groups at your choice. I think every parent of a college student should do OptOutPreScreen.com for their kids. What they don’t know can’t hurt them!!! I’m a big fan of Greendimes and would recommend them anytime! I dig it! I use teh services of Myjunktree and it works great. They helped me stop all aspects of the paper wasting monster. I was able to stop the phone books, Credit card offers, any of teh catalogs I no longer wanted and misc junk mail. If it wasn’t for all teh bills it would be a pleasure to go to my mail box now. I am a fan of MyJunkTree.com also. Not only did they help me stop unwanted catalogs,and junk mail but also stop the charities and non-profit mail from hitting my mail box. A great a green site!